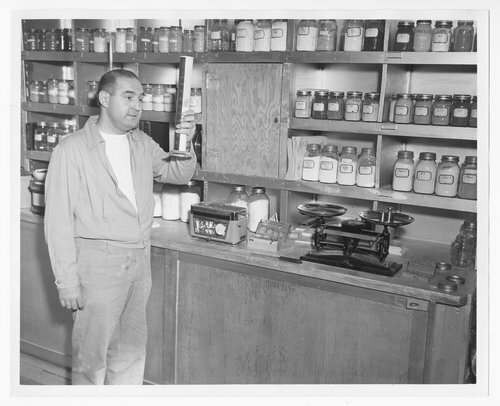 These two black and white photographs show the laboratory at the Pomona Tile Company in Arkansas City, Kansas. The company, a branch of the Pomona Tile Manufacturing Company of Pomona, California, was one of the largest manufacturers of ceramic-glazed tiles in the United States. The facility was located at Strother Field between the towns of Arkansas City and Winfield.